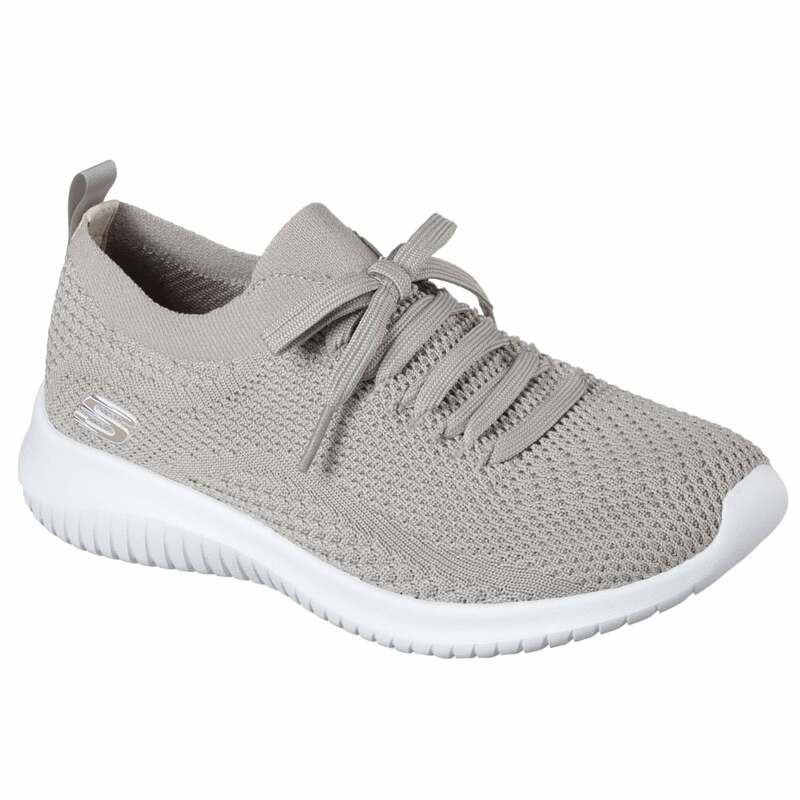 The ultimate in sporty style and comfort the Skechers Ultra Flex trainer is designed for an active lifestyle. Created with a knit mesh fabric upper with inter woven texture designs. With a lace up front these trainers are easy to slip on and get a precise fit-perfect for walking or training. A memory foam insole and flexible midsole give the ultimate comfort in these stylish shoes.